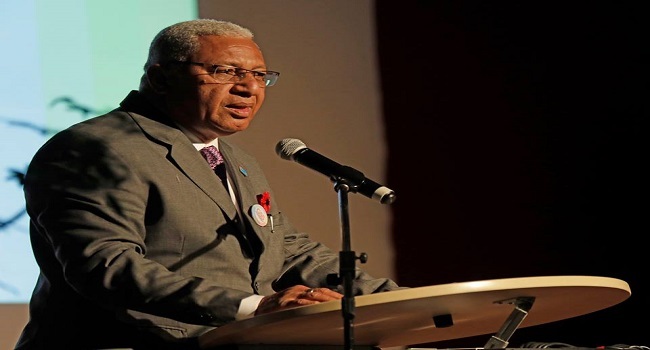 Prime Minister and incoming COP23 president, Voreqe Bainimarama, says Fiji will work closely with the G77 and China to advance it’s work on climate change support and efforts. Addressing the largest bloc at the United Nations, Bainimarama outlined the key priority areas and the COP23 vision. The Prime Minister says Fiji’s vision is for a Presidency that is transparent and inclusive of all, advances the Paris Agreement and accelerates climate action for all vulnerable societies. “For global climate action we need a grand coalition of all actors, parties and non-state parties. We need to go further, we need to go faster together." Bainimarama says significant progress has been made on most of the individual components of the Paris Agreement. He will officially assume the presidency of COP23 tomorrow.